The AraAppaloosa (or Araloosa) is represented by the AraAppaloosa & Foundation Breeder’s International and they consider the horses they breed to be the original appaloosa horse. Spotted horses are one of the oldest identifiable distinct breeds & had influence in the foundation of the Arabian breed. Middle Eastern & Egyptian art from centuries past reflect spotted animals. The registry for AraAppaloosa in the United States is rather new one and their goal is to combine the finest elements of each breed, the good-nature and strength of the appaloosa and the refinement and grace of the Arabian. 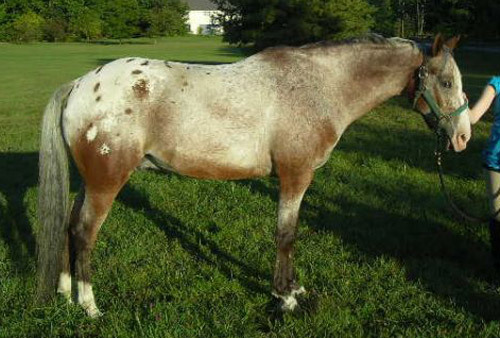 Do you have images or know more about the AraAppaloosa breed? We’d love help completing this page, please contact us to get involved.